A large part of the problem with Irish water is that has not been sold properly to people. Leaving aside for a moment the issues around whether or not a water charge is double payment for a service, a proposition which seems not to be accepted pretty much anywhere else in the Western world, Irish water has had an appalling roll out of its service. If we want people to buy into the idea that they should truly conserve water then we need to find a mechanism by which that will be most effectively accomplished. Nonsensical grants to everybody are not incentives to conserve water. What works, and this has been shown fairly convincingly across the range of areas such as tax compliance and behaviour modification is the creation of a social norm. Peer Pressure is not just something which works amongst adolescence. As things stand the Irish water bill is, like most utility bills, pretty incomprehensible. Most people probably skip down to the bottom line to see how much they owe. you have no idea whether or not what you were playing is, relative to others like you too much or too little. It should be a simple matter to change this. Instead of telling people just how much they owe, tell them instead how much they have used relative to people like them. I would like to know how much water I am using relative to other 2 adults + 1 child detached homes in Kildare. it would be easy to have infographics. Something like “ Brian, well done, compared to your peer group you have saved water equivalent to the volume of a standard builders skip” or “ Brian, did you know that if you were to use water only at the same level as your peers, not only would you pay less, but you would save water equivalent in volume to the cargo capacity of a Transit van”. Everybody likes a competition. There is no reason why this could not be done. 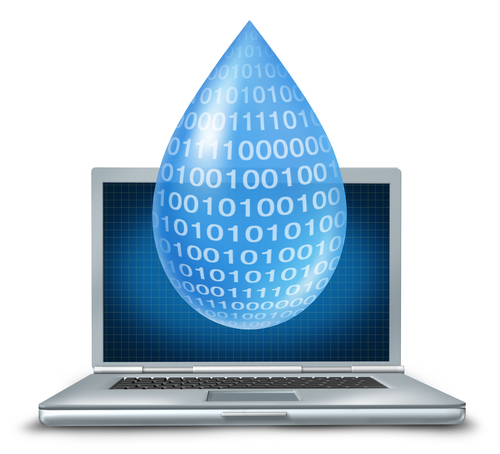 Irish water have the data, but are not using it. If they truly want us to buy into the idea then they have to sell it to us. Right now they’re not doing a good job, not using best practice in terms of behavioral modification, they are on the back foot constantly. We can take this idea of relativity is further. County councils, and county councillors are much in the news these days.. Almost anything, at least things that don’t involve dead animals, will do so long as it is reported. There is an election coming. Some of the things that county councillors do of course mutually contradictory as they gauge that the memory of the voter is approximately the same as that of a goldfish. Thus we have county councils voting to cut local property tax and at the same time complaining that they don’t have a budget to solve homelessness . I really have no idea anymore what county councils actually do. But let’s for the moment presume that there is a role for them. The big difficulty with Irish local government has always been that while we have had elected local governments they have had very little in the way of a diversified funding base. The consequence has been that they have power without responsibility. But let’s assume that we can use big data, in the following way. The revenue commissioners know where everybody lives, and therefore where everybody received their income. The revenue commissioners also have detailed information as to our spending patterns, through sales tax and other commercial tax returns. it should be relatively simple to allocate a percentage of all tax raised in an area, whether through VAT or through excise duty or through whatever. It’s easy to have calibration mechanisms, whereby areas that are racing under the median can be brought up towards same, and areas that are in surplus over the median can allocate some of that surplus. Germany manages to do this at a federal level, there is absolutely no reason why we cannot do it at a county or even lower level. This would provide an incentive to local authorities, and they need an incentive, to make their areas attractive place in which to live and work. We could go further, and start allocating part or all of the money raised on the local property tax towards local schools. Leaving aside the debate about whether or not we should have technologically intensive schools, the reality is that many of our schools are still under equipped with basics such as laboratories, art materials, in many cases even the physical Fabric of the schools. Combine these with localized information on what is being spent and where and how this is relative to similar areas and see how that fosters local spirit. The power of big data, the willingness to join up a number of isolated governmental silos, Harnessing these should allow us to begin to move or Society towards the forefront of where we think we would like it to be. To do so will of course required as a result of political attributes, Courage. Brian, surely you know by now that the purpose of the Property Tax (once it went into the Central Fund) was primarily to fund the setting up of Irish Water (easier ‘it was thought’ than increasing income taxes). After that it will be used for pet projects in relevant Ministers constituencies. If it was to be allocated on a ‘needs’ basis e.g. DEIS schools, social housing et al then how in God’s name could our ‘clientelist’ dependent politicians hope to get re-elected? Plus ca change plus ca meme chose. Truly I’m a realist not a cynic. Your idea of “everybody loves a competition” could easily backfire. I recall a company that I worked for that introduced a “tidy desk” policy, with inspectors who would walk through the offices after hours and stick a yellow “untidy” sticker on untidy desks. The idea was to embarrass people into being tidy. Instead, it triggered a competition to acquire as many stickers as possible. The policy didn’t last long. Motivating people is good, but it’s also a black art to get right. This is one of those things where you skip over the main source of political contention (whether domestic water services should be funded out of general taxation) and then argue about best to implement a policy that does not have democratic legitimacy. (And also, arguing that everyone else in Europe does it is a non argument. They almost all have armed police forces too, like water charges a simple matter of historical contingency). Water charges also fail the social justice hippocratic oath. They are a regressive measure and the potential reduction in usage does not justify the downwards distribution of costs. Since domestic water usage is almost certainly inversely income dependent it’s an even more regressive measure than the transfer from taxes to charges would suggest. Big data will not save neoliberal market making initiatives from the understandable contempt of the majority of voters.